12 sheets of 100% cellulose acid mould made 300gsm heavyweight paper. 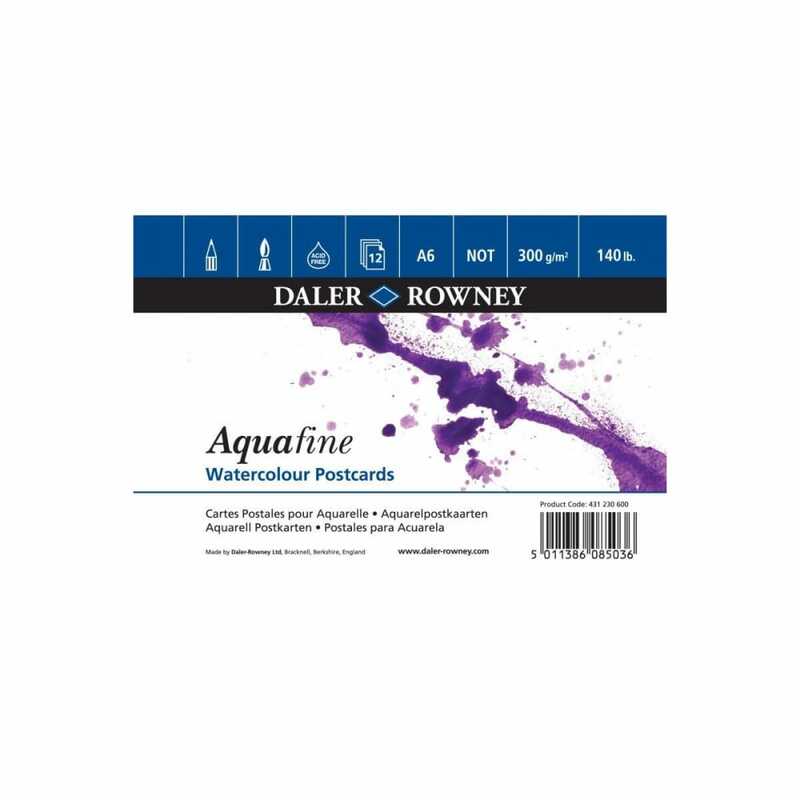 This watercolour paper is manufactured on a Fourdrinier paper machine using 100% virgin wood pulp.The paper is free of OBA and is surface and internally sized. It is acid-free and buffered to prevent deterioration of colour and to preserve the integrity of the paper over time. Watercolour postcards are aimed at beginners and students as well as professional artists preferring to work in mainly 'dry' watercolour painting techniques. Its weight of 300 gsm offers good water absorbency and the surface is fairly hard, making it easily erasable and suitable for masking fluid without stretching.